One of my greatest heroes growing up was not a sports figure or a movie star. It was a skinny old Frenchman named Jacques Cousteau. He was a naval officer, explorer, ecologist, filmmaker, innovator, scientist, photographer, author, and researcher who studied the sea and all its myriad forms of life. I wanted to be Jacques Cousteau when I grew up. Cousteau created a series of special television documentaries. It was a special event whenever one aired. Of course, I was glued to the television watching every detail. It was while watching one of his specials that I learned an important life lesson that I know is critical for business success. One particular special was about sea turtles. Did you know that while they live in the sea, they lay their eggs on the high beach in the sand? When the eggs hatch there is an amazing spectacle. Hundreds of newly hatched baby turtles crawl up and out of the sand to begin their race to the water. The critical forty yards they must cross are literally the difference between life and death. I watched the multitude of hatchlings begin their clumsy race to the water. But just as they began their descent to the water, a voracious flock of sea birds arrived and began picking off the turtles. As I watched the documentary, it seemed as though impossible numbers of birds were swooping in and snagging turtles at will. The chaotic blur of birds feasting on turtles etched a vivid memory in my mind. I had an empty feeling as I watched helplessly trapped on my side of the television. As the drama played itself out, I could see that some of the turtles made it to the water. But even then, those that didn’t get deep enough, quickly enough, were snatched by the hungry birds. Fortunately, although nature repeats this event annually, enough turtles make it to grow to adulthood. They then return years later to lay their own eggs. Roughly two months later, new hatchlings emerge and the race for life repeats itself. To ensure that the various species of sea turtles survive, nature uses a strategy of producing 100 times the number of hatchlings needed. Only 1 or 2 out of 100 hatchlings survive the first year. Interestingly, a one to two percent response rate — prospects who actually become customers — is a common point where many direct response campaigns become viable. So that’s the lesson from the sea turtles: You need to be reaching approximately 100 times the number of prospects for every customer you want. This is where most businesses’ new customer programs break down. They don’t reach enough prospects to effectively produce the needed number of new clients. Before you begin to address subjects like response rates or advertising effectiveness, your first concern should be, are you reaching enough people? Let’s look at an example. Suppose you want to double the number of sales you make.  You are currently promoting to an e-mail list of 5,000 qualified prospects. The smart first step would be to increase the mailing list to 10,000 qualified people. This will give you a foundation for a successful new customer acquisition program. Are you getting the results you want from your new business programs? Why not tap into the expertise that can get you more clients and make more sales? The first step is to call Sentium at (800) 595-1288 and set up a phone meeting. This is a free, no-obligation meeting where we can discuss your situation and how to improve it. And, if you are wondering how you can increase the number of people you are reaching, we can help you there too.